Staff try to be nice, but they speak very poor English and therefore it's hard to get almost any information. Close to metro station. Friendly staff with excellent customer service. 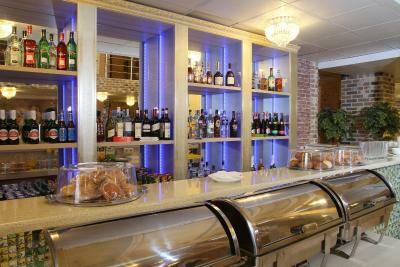 Good bar selection and fully staffed restaurant that is open late. Good view on the river. Comfortable bed. Breakfast is included for that price. 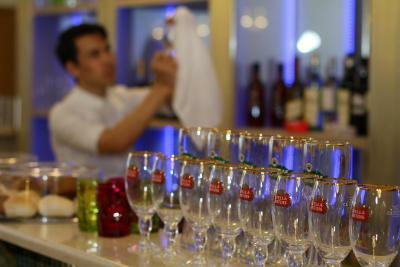 The rest of the staff aside from Valleria were quite helpful and friendly, they explained everything to us. There's a shuttle to the nearest metro station every 30min. Shuttle bus every 15 min. or 30 min. Although one day, it was unexpected out of service. Reception can speak English quite well. Not bad Breakfast. Confortable, clean and big room. It's near some good historic parks. Good value for Money. The hotel is OK for short stay we were there for two nights, location is good they have shuttle bus to the metro station and it's only 4 stations till the Red square. 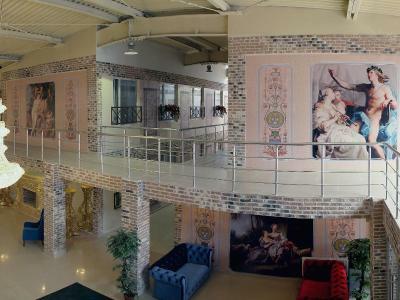 Gallery Voyage Hotel This rating is a reflection of how the property compares to the industry standard when it comes to price, facilities and services available. It's based on a self-evaluation by the property. Use this rating to help choose your stay! 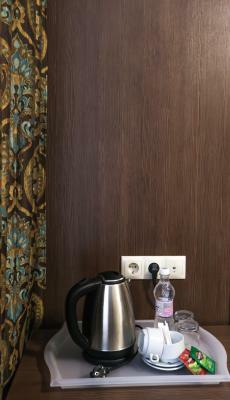 One of our top picks in Moscow.Located in the business area of Moscow, a 5-minute drive from Tekhnopark Metro Station, Gallery Voyage Hotel offers free Wi-Fi. 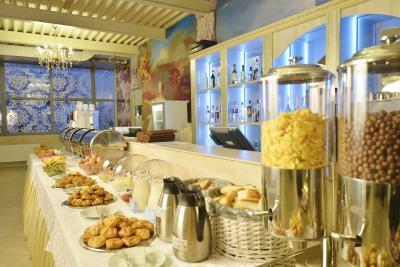 The rooms feature flat-screen TV, tea/coffee making facilities and working area. The bathrooms come with a hairdryer, slippers and free toiletries. 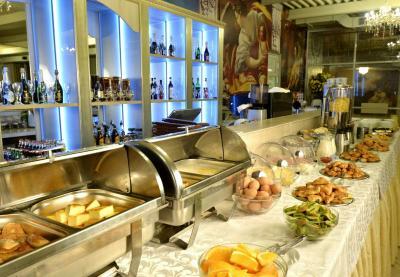 Buffet breakfast is served every morning in the property’s restaurant, serving Russian and European cuisine. The Red Square, Bolshoi Theater and the Cathedral of Christ the Savior are a 10-minute metro ride. Free transfer is provided from Tekhnopark Metro Station. 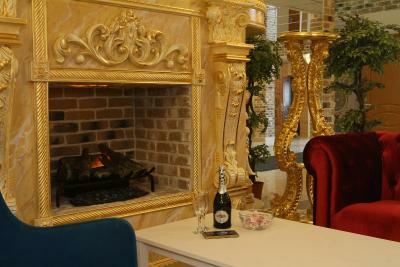 Paveletsky Train Station is 2 metro stops away, and Domodedovo International Airport is 23 mi from Gallery Voyage Hotel. 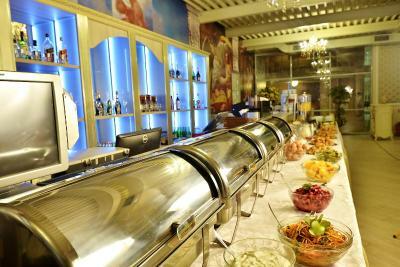 When would you like to stay at Gallery Voyage Hotel? This room features air conditioning, a flat-screen TV, minibar and working area. The bathroom includes a hairdryer. This double room features air conditioning, a flat-screen TV, minibar and working area. The bathroom includes a hairdryer. The windows in this rooms are small and overlook the hallway. This double room features air conditioning, a flat-screen TV, minibar and working area. The bathroom has a hairdryer. This single room features a satellite TV and air conditioning. The windows in this rooms overlook the hallway. House Rules Gallery Voyage Hotel takes special requests – add in the next step! Gallery Voyage Hotel accepts these cards and reserves the right to temporarily hold an amount prior to arrival. Please note that free transfer is provided from and to Tekhnopark Metro Station between 7.00 and 23.30. Location is quite far from metro (about 15 min walk) and there is no footpath for walking, we quite tired when we got to the hotel. Little bit far away from subway. The location is not good at all. It's too far from the Center and, for now, there aren't any good places to go near the Hotel at night. Shuttle needs to go more frequently (every 15 minutes). Interior design, comfortable rooms, great shower. i choose this hotel because in the pictures looks pretty and elegant, but went I arrived looks complety diferent everithing is false, i had a big disappointment because everything is fake, it has a terrible location, the room was very dirty, I had no paper or towels, I had to ask for them and then accidentally stepped on the towel, the maid behaved despot and very rude, the receptionist It was unpleasant, I wanted to charge me 1500 rubles for an old and ugly towel, the staff seems to have no education, do not stay in this hotel if they do not want to have the worst experience of their lives, and the worst thing was that the following night they took away my Towels, and they argued that they did not have which was completely ridiculous. We had to change the room because the first one has not been cleaned at all. Second was better but still not as it should be. Bathroom is horrible, we are tall and we almost didn't fit into the shower. Poor breakfast. Bit remote bus was hit and miss. Room was in need of a good clean. Seems the rooms were needing tax. However well priced. Breakfast was not good. The neighborhood was pretty rough.